PRAYER PROMPT ••• This weekend, I gave someone else a spreadsheet. This may seem trivial to some, but for me (and those who know me! ), this was huge. And not just ordinary huge. I am a control freak about my spreadsheets. Okay, I’m a control freak about many things, but especially about my spreadsheets. But the time came for someone else to manage this tool and though my finger resisted, I clicked the “transfer ownership” button. I’m not going to lie to you, Friends. It hurt because it involved change. But by the same breath, it was liberating, and that was not something I was expecting. This document is something I created years ago and have taken tremendous pride in. I am still proud of it, but there are some new things on my plate that I need to address and I couldn’t do both. How often do we find ourselves in situations where we have a choice – a new experience vs the familiarity of what we know? When we look to the Bible for a model of this, I don’t think there’s any better example than Ruth. As a widow, she left everything she knew behind to go with Naomi. 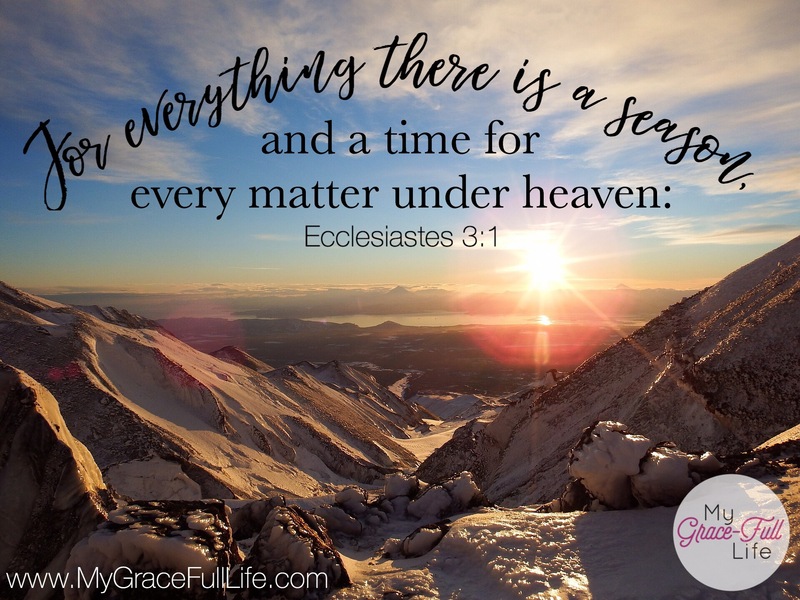 Though Ruth lived well before the words of King Solomon in the book of Ecclesiastes, she knew the season of life in her homeland had come to an end and she willingly embraced a new season in Israel with her mother-in-law. Her faithfulness yielded much; she was the great-grandmother of King David and is therefore, part of Jesus’ own lineage. Today, as you pray, if you are facing a new season, ask God to help you be as courageous and faithful as Ruth. Ask Him to make clear the steps you’re to take and consult with Him often as you walk the unique path He’s laid out for you.